Softball season is underway at California Baptist University, and the team took on four non-conference opponents to kick off the season Feb. 3-4 at the Desert Stinger Tournament in Las Vegas. CBU dropped four out of the five games, with a mercy-rule 15-1 victory over Concordia University Portland. The Lancers came out hot in the second inning, scoring six runs with one unearned rebuttal from the Cavaliers. CBU kept its hot streak in the fourth and fifth innings, scoring five and four runs respectively. Ciara Stapp, freshman communication studies major and pitcher, made her collegiate debut allowing only one run and two hits, and she threw two strikeouts in the first three innings of play. Iveth Alvarado, sophomore health sciences major and utility player, stepped up to the circle to close out the game and finished with two strikeouts under her belt. Newcomers and veterans hit the field including Ali Subia, junior kinesiology major and third baseman, who scored four runs while Caitlyn Lloyd, freshman journalism and new media major and outfielder, and Brittany Galvez, freshman kinesiology major and third basemen, scored three runs a piece. Deanna Alarcon, freshman liberal studies major and second baseman, also put two runs on the board before the game’s conclusion. 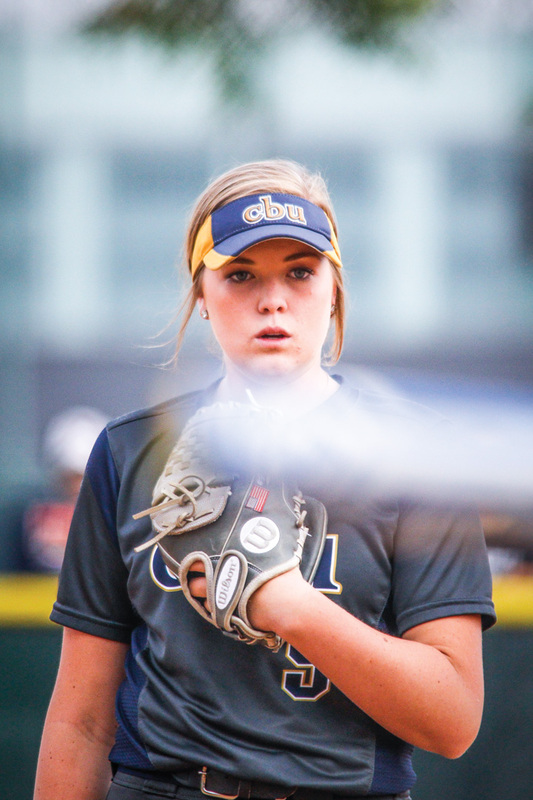 CBU went head-to-head against Central Washington University and West Texas A&M University later in the day and fell 11-7 and 8-3, respectively. The following day, the team went up against Stanislaus State University and California State University, Chico. Up against Stanislaus State, CBU put one run on the board early in the second and again in the sixth. Subia scored the first run while Erin Burkhart, senior criminal justice major and catcher, hit a solo home run in the sixth, but it was not enough to overcome Stan State who outscored the Lancers 3-2. Against Chico State, the Wildcats scored two unanswered runs, but not easily. CBU was strong on the defensive end to limit CSU runs.